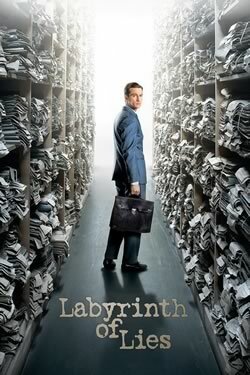 Labyrinth of Lies, Germany’s official Foreign Language submission for the 2016 Academy Awards, is an historical drama which takes place twenty years after World War II. A journalist identifies a teacher in a playground as a former Auschwitz guard. Defying the views of his compatriots who are sick of the war and don’t want to face the guilt associated with it, a young prosecutor (Alexander Fehling) takes on the case. As he delves into the files, he finds a labyrinth of information and lies. Ultimately, he builds cases against the 8000 people who worked at the death camp. Guided by first-time feature-film director Giulio Ricciarelli, Labyrinth of Lies is based on the Frankfurt Auschwitz trials, a previously lesser-known chapter of Germany’s post-WWII history in which the country was forced to reckon with the Nazis who returned to everyday life following the end of the war.